In my preview post before attending: Virtualisation Field Day 6 Preview: FalconStor I raised my concerns whether FalconStor was “yet another storage company”. I thought it would be useful to detail what I learned during its Virtualisation Field Day presentation as well as speaking to other delegates. FalconStor as a company seems to have had a much needed rebirth which it sorely needed after legal issues and a tragic CEO loss 4 years ago started to sink the ship. FalconStor then bled cash for a while and lost another CEO before current boss Gary Quinn took the helm. Current management as expected takes pains to distance themselves from the dark times and are passionate about the company’s future and believe they have what it takes to succeed. I’ve also learned FalconStor previously didn’t have the best reputation for code quality leading to products with less than stellar stability. Apparently this has been rectified with a new team who managed to ink a lucrative partnership with Violin Memory to provide data services software to the lacking Violin arrays. Violin is in the business of high performing storage so this must have been a win partnership for FalconStor as it could learn all about high performing flash as part of the deal. Unfortunately it seems this buddying up dissolved a year or so ago and there doesn’t seem to be much information on why. I get the impression FalconStor wanted to continue but Violin didn’t so hopefully FalconStor received enough of what it needed to improve, speed up and modernise its codebase. Violin is going through its own issues including a tanking stock price yet FalconStor hasn’t been dragged down as well so the market sees Violin as overvalued and has some faith in FalconStor. More recent OEM deals are being done with X-IO Technologies, Kaminario as well as Huawei so FalconStor software seems in high demand. Virtualisation Field Day 6 is happening in Silicon Valley, California from 18th-20th November and I’m very lucky to be invited as a delegate. I’ve been previewing the companies attending, have a look at my introductory post:I’m heading to Virtualisation Field Day 6. Zerostack is another start-up just emerging from stealth mode. It offers a hyper-converged OpenStack appliance with cloud management. As a start-up its worth looking at who is involved & it has quite a pedigree. Founded by Ajay Gulati who spent 6 years at VMware working on Storage I/O control, Storage DRS and DRS, and Kiran Bondalapati who was a founding engineer at Bromium which has a very clever product for secure OS and hardware virtualisation. Justin King who used to work for VMware and was heavily involved in vCenter is now Technical Marketing at ZeroStack. Very interesting, I wonder if he saw the future and was as worried as I am which I wrote about in my recent article on the issues surrounding vCenter! ZeroStack also has some interesting people as board members and advisors from across the industry. Mark Leslie, now an investor and past Veritas boss, Mohit Aron, founder of storage start-up Cohesity, Carl Waldspurger, ex-VMware and DRS architect, Umesh Maheshwari co-founder of Nimble Storage and Denis Murphy, Nimble’s Sales boss as well as Mike Dvorkin, co-founder of Insieme Networks which became Cisco’s ACI. That seems some serious cross-industry advice. It has raised $21.6m in funding. Spirent is a company I’ve never dealt with. It’s heavily on the networking side of virtualisation which is not my area of expertise but luckily at Virtualisation Field Day we have experts in all the things so networking is well covered! It’s been going since 1936, was originally called Goodliffe Electric Supplies then Bowthorpe. In 2000 it changed its name to Spirent which is apparently from “inspired innovation”. Spirent traditionally has been all about network infrastructure testing. Think performance, security and functional testing with automated orchestration. The internet+cloud means networks are getting larger and they all need to work as designed so testing is critical. Think of how SDN/NFV complicates the visibility of possible network paths from an underlying infrastructure point of view. Spirent has made some acquisitions to bolster its wireless technologies so is able to bring its smarts to 4G & 3G mobile networks as well as satellite positioning devices. Think voice over 4G, device performance and GPS location, all needing testing. Updated on 11/11/2015 with some changes based on additional information. FalconStor is a company I’ve heard of over the years (it’s been going for 15 years) but haven’t had any direct experience with their products previously. It seems to have had a chequered history with fines for paying bribes and then covering it up in its books but that’s a few years ago so I’m sure FalStore is putting that behind them! FalconStor has recently release a brand new product called FreeStor. Don’t get too carried away, its not a Free product in terms of price (more on that later) but rather Free as in Freedom. FreeStor is a product to build a distributed storage resource pool across almost any type of underlying storage. It’s basically virtualised storage using FalconStore’s “Intelligent Abstraction” core so you can easily move, protect and dedupe data on or off cloud without being reliant on any particular hardware, networks or protocols. This means you can freely choose the right storage for the right price and have FreeStor manage and protect it all. This virtualised platform then allows you to seamlessly move workloads across different underlying storage. There is WAN optimised space efficient replication and everything is globally deduped. 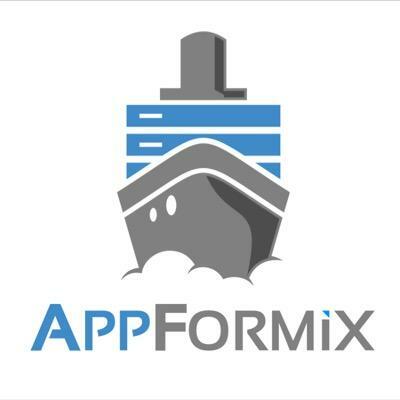 AppFormix is a company that has recently come out of stealth mode. It is basically a monitoring and analysis tool for cloud infrastructure to help people manage a shared and multi-tenant infrastructure. It is founded by Sumeet Singh who comes from a network analytics background having co-founded NetSift as a graduate student. NetSift sold a product based on his university research for doing deep network packet processing at high speed to detect security issues. A year in, his company was acquired by Cisco for $30m where he then worked for 7 years. He then spent just over a year at Microsoft working on Azure networking and then started AppFormix two years ago. So, AppFormix’s pedigree comes from network analytics. Obviously, just coming out of stealth, they are brand new and I hadn’t heard of them before their name popped up as a presenter at Virtualisation Field Day. AppFormix is a cloud infrastructure monitoring and analysis software that runs in any public, private, multi-tenant, or hybrid environment. Our goal is to help companies build better, more efficient, application-agnostic environments by providing them with deep, real-time insights into their infrastructure. I briefly met Cirba at VMworld Europe and they presented briefly at Tech Field Day Extra at VMworld US this year. Cirba is a privately owned company and has been operating since 1999. Cirba is a Canadian company with a product which is all about optimising workload placement. You use it to analyse your environment and it will tell you where you have overprovisioned resources and extra capacity or where you have underprovisioned resources and your VMs aren’t getting what they need. Knowing this allows you to right size your environment and save money by cleverly mixing workloads and also deciding where best your workloads should run or be provisioned. They use a good analogy of using Tetris to try and fit all the resource pieces together but this is rather a more multi-dimensional game. You need to fit CPU/RAM/Network and storage pieces together where they don’t necessarily all have the same shape and size. You also need to overlay your business policies on top of this which makes for some interesting number crunching. Excitement is mounting as I’ve been asked to be part of Virtualisation Field Day 6 next week, part of the Tech Field Day series of events. I was hugely humbled to have been asked to be part of Virtualisation Field Day 4 so being asked back is a real honour, means I wasn’t a total waste of space at the last one, right! This time we’re heading to Silicon Valley, the cradle of our IT world. I’ll be joined by Chris Evans, Craig Kilborn, Gabrie van Zanten, James Green, Jon Hildebrand, Keith Townsend, Mariusz Kaczorek, Sonia Cuff, Teren Bryson & Tim Carr. What is notable is that half the delegates are doing their first Tech Field Day events. This is fantastic to get new voices, opinions and and a testament to organisers, Stephen Foskett and Tim Hollingsworth for expanding the laager. We have fantastic experts across storage and networking even though they have their own Tech Field Day events which is great to be able to go broad and deep. This is the last of the current Virtualisation Field Days as next year it will revert back to where it all started and be called Tech Field Day which I think is a great move. Virtualisation is ubiquitous so it is better to build above the commonality with all things Technical. The format is the same as other events, companies get a chance to present their products which is all streamed live for anyone to view, there’s no closed door policy, what we see is what you see. More importantly you can also join in publicly via the connectedness of social media on #VFD6 or privately via DM/email if you prefer to keep a low profile.